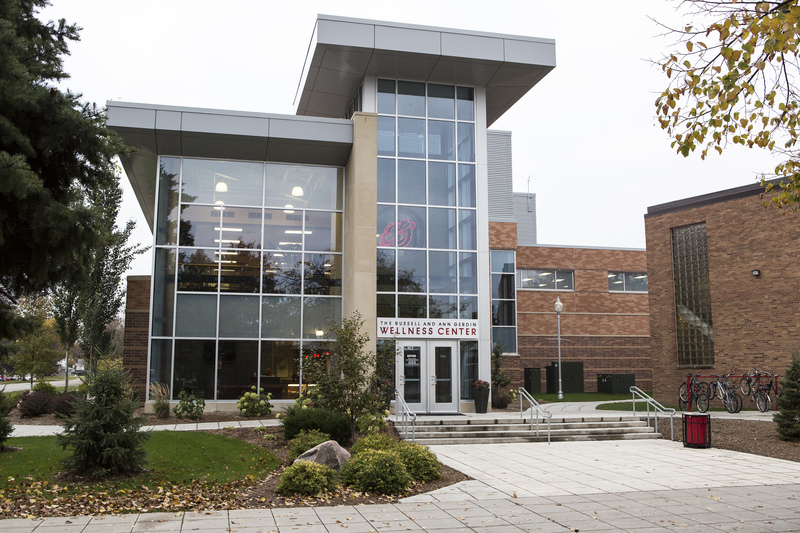 MSUM’s Wellness Center offers a wide range of classes for students. Group fitness classes have come a long way since the days of wearing legwarmers and leotards in the 1980s. The classes that were once mainly women-only have made many changes to their formats, allowing for a larger variety of participants. New classes have been created over the last 10 years to appeal to both men and women, said MSUM’s coordinator of fitness and special programs, Charmaine English. “Classes such as Body Pump involve weight lifting in the workout, causing more men to join,” English said. Men make up a quarter of the participants in the group classes at MSUM. English said this number continues to rise as new classes are introduced to the Wellness Center. Most classes offered at fitness centers vary in intensity levels. They go from yoga, which is slow-paced and focuses mainly on stretching, calm breathing and core strengthening, to classes like turbo kick and kickboxing, which are fast-paced cardio workouts. Broadcast journalism senior Macy Egeland said her favorite class is Body Pump. “It’s a high-energy class, and the loud music keeps me going,” she said. Egeland isn’t the only one who would choose that class as a favorite. Assistant fitness coordinator Michael Rhea says the Wellness Center had to move the Body Pump and Zumba classes into the gyms because the group fitness classrooms were too small. The average class size three years ago was 20 to 27 members. Now, class sizes are 70 to 100 members. The popularity of fitness classes has also grown because of the many benefits that come from participating in a group. Egeland said she prefers going to group classes instead of working out alone because she is more motivated to work hard and keep going through the whole workout. Members of the group can also create a personal relationship with each instructor so they feel more comfortable asking for help. The instructors of the class are there to make the classes fun, while leading a great workout. English said the instructor can make or break an experience of group exercise. Most instructors switch up the workouts week to week to keep members engaged. People who attend group classes are encouraged to participate in multiple kinds of classes to get a total body workout. Most classes run 45 to 50 minutes.